Yes, I have been slacking a little on the certification exams. But I’ve been a little busy the last couple of months. I have plans to add many of the new role based certifications to my list once the Microsoft courseware comes out. 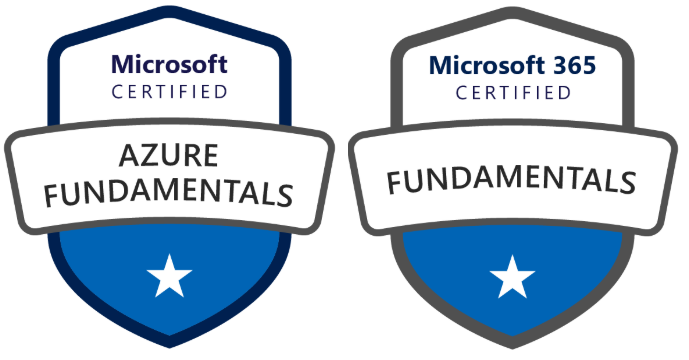 But in the meantime, I did pass the Azure Fundamentals exam on February 8th and today at the MCT Summit I passed the M365 Fundamentals exam. I will be completely honest, they were a little more techincal than what I expected from Fundamental exams. These are not like the previous MTA exams, but they are a solid testing of the foundations of both Azure and Microsoft 365. I would highly recommend checking out Microsoft Learn for free study materials. That is basically all I used to study for the Azure exam. Well, that and I’ve been working in Azure for 4-5 years. Be the first to comment on "Azure and M365 Fundamentals"